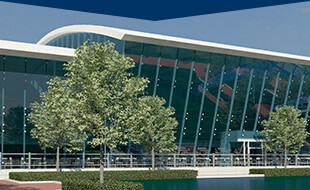 GSP International Airport added its fourth art installation in September. 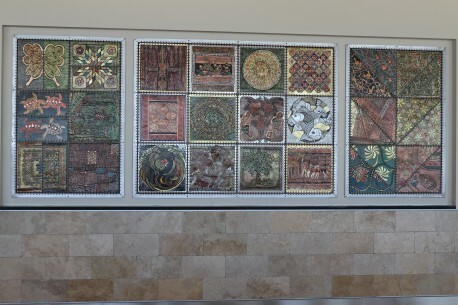 Albuquerque, New Mexico artist Evelyn Rosenberg created a three-panel metal quilt called “South Carolina Quilt.” The patches within the quilt pay homage to the Palmetto State with images of the State flag, Carolina Wrens and other SC symbols. This art piece is unique, because it was created using explosives, a process Rosenberg calls Detonography. She finds a spot in the desert and lays mold, metal, fabric, rubber, then C-1 explosive on top. When the explosive detonates, the fabric stamps an image into the metal and the mold. Rosenberg takes the metal back to her studio to add color. She has created more than 40 pieces of public art for various institutions around the country. 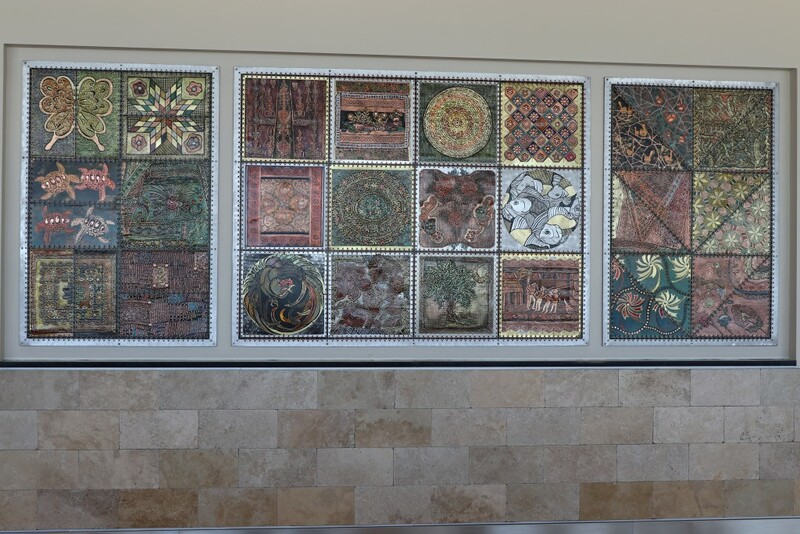 If you’re traveling through GSP, stop and see the quilt in person, hanging in Concourse A. Find out more about Evelyn and her technique at http://evelynrosenberg.com or check out her interview with GSP here.